Independent consulting firm, Competitive Edge, on behalf of MHI, selects Itoh Denki USA Inc. as a “Standout Exhibit” during MODEX 2018. 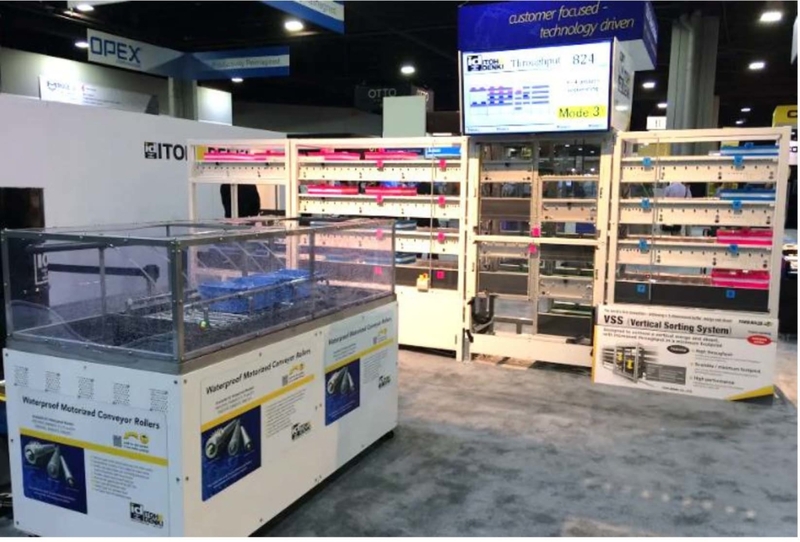 Wilkes-Barre, PA: Itoh Denki USA Inc. was recognized as a standout exhibitor at MODEX 2018. Itoh Denki received the award for Engaging & Informative Presentations/ Demonstrations by effectively providing product and performance information for attendees by placing message boards next to each demonstration. MODEX is the largest supply chain and logistics expo held bi yearly by MHI. In 2018, the show hosted over thirty thousand attendees and 925 exhibitors from 140 countries. Itoh Denki’s display included a number of different demonstrations featuring their established product line. The display also hosted the introduction of Itoh’s Denki’s newest product, VSS or Vertical Sortation System, which will help provide a new dimension in sortation allowing for products to be sorted on a vertical plane rather than having to be sorted by merging and diverting articles on a horizontal plane. Itoh Denki has been repairing, designing, and manufacturing electric motors for over 70 years. In 1996, Itoh Denki USA Inc. was established to meet the needs of the growing motor driver roller market in the United States. Today, Itoh Denki USA Inc. has the largest installed MDR base across the United States with more that 10,000,000 rollers installed in various establishments across the country.